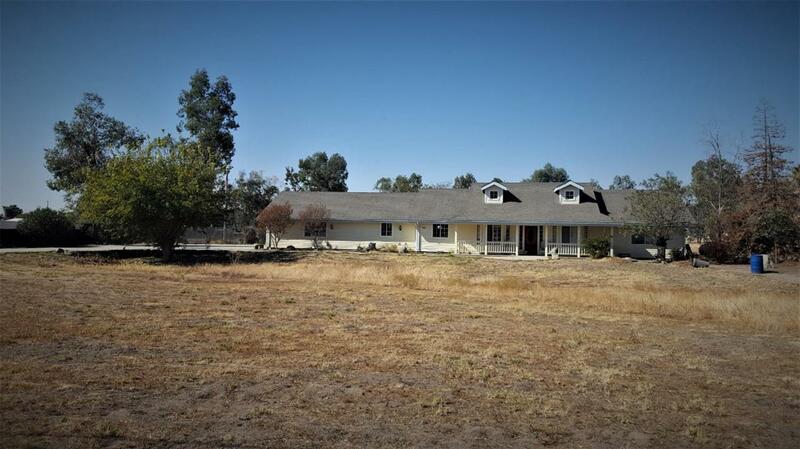 Nice Custom home located in Bonadelle Ranchos. Features 3 bedrooms 3 baths, which one bedroom and bath is located off the opposite end of home, which would make a great in law or guest room. The home features many custom features, wood floors, carpet in some areas, some laminated flooring, nice coffered ceilings with ceiling fans, extra insulation added to the walls, some of the kitchen cabinets has glass doors, separate cooler system, wired for surround sound,& has a central vac. There is also a new well at 500 ft. and 3 hp pump, large shop with 3 roll up doors approx 40 X 50,the shop has a 1/2 bath, seller owned solar system, newer 30 yr comp roof, approx 2 yrs old. Large 3 car garage . Property profile differs from listing.